Dominant City never looked in danger after Bernardo Silva opened the scoring in the fifth minute, pouncing on Timothy Fosu-Mensah's misplaced pass. Sergio Aguero extended his lead in the top-flight scoring chart with his 19th of the season before the half-hour mark, as Pep Guardiola's men cruised to a one-sided victory. City's ascent back to the summit may be temporary with title rivals Liverpool set to face Tottenham on Sunday, live on Sky Sports, while another defeat left Fulham further stranded in the relegation zone. Huddersfield's adventure in the top flight will not go beyond this season as their 2-0 defeat at Crystal Palace confirmed their relegation, with the Terriers becoming only the second Premier League team to be relegated before the end of March. Huddersfield's defeat at Palace, combined with results elsewhere, confirmed the Terriers have become the first team to be officially relegated from the top flight this season. 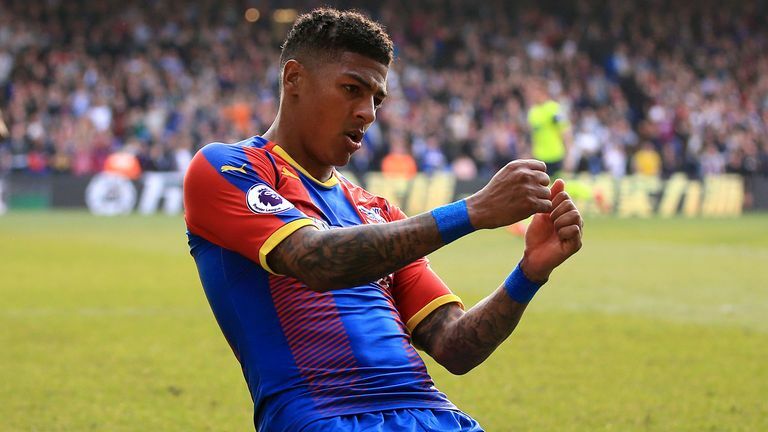 Luka Milivojevic's 76th-minute penalty ended the Huddersfield resistance and after Wilfred Zaha missed a superb chance to add a second, Patrick van Aanholt ensured victory in the 88th minute. Ole Gunnar Solskjaer's reign as permanent Manchester United boss began with a hard-fought 2-1 win over Watford at Old Trafford. 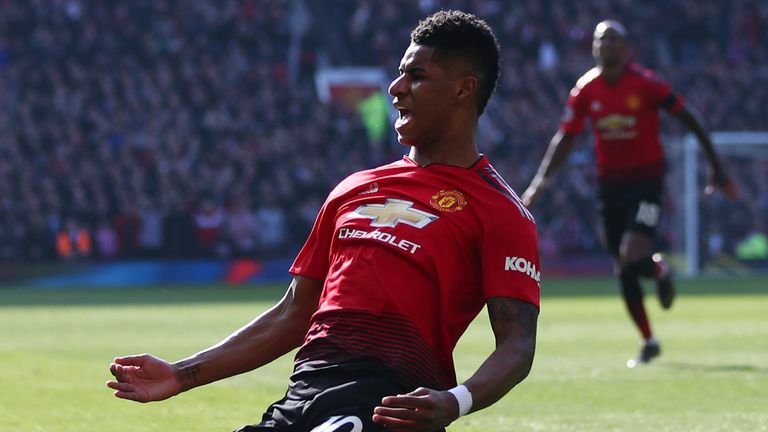 Marcus Rashford's fine 28th-minute opener was all that separated the two sides for much of the afternoon as Watford pressed for what would have been a deserved point. Anthony Martial increased United's lead in the 72nd minute but a last-gasp effort from Abdoulaye Doucoure ensured Solskjaer's men were left hanging on for the points. Burnley boosted their survival hopes with a 2-0 win over Wolves at Turf Moor. Conor Coady's second-minute own goal gave the Clarets a dream start and although the visitors dominated for much of the second period, 19-year-old Dwight McNeil fired home the second goal in the 77th minute. 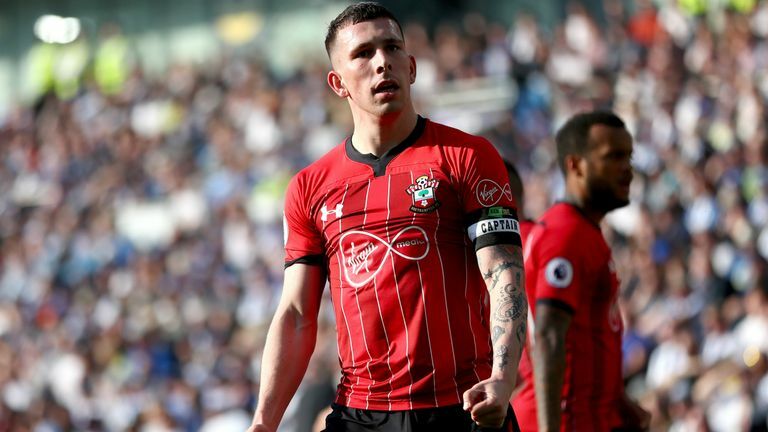 Southampton held on for a 1-0 win over Brighton at the AMEX Stadium which also boosted the Saints' prospects and ultimately confirmed Huddersfield's fate. Pierre-Emile Hojbjerg scored what turned out to be the only goal in the 53rd minute but Brighton pressed for an equaliser, with Anthony Knockaert among those who missed good chances. Jamie Vardy's 82nd-minute header sealed a comfortable 2-0 win for Leicester over Bournemouth. 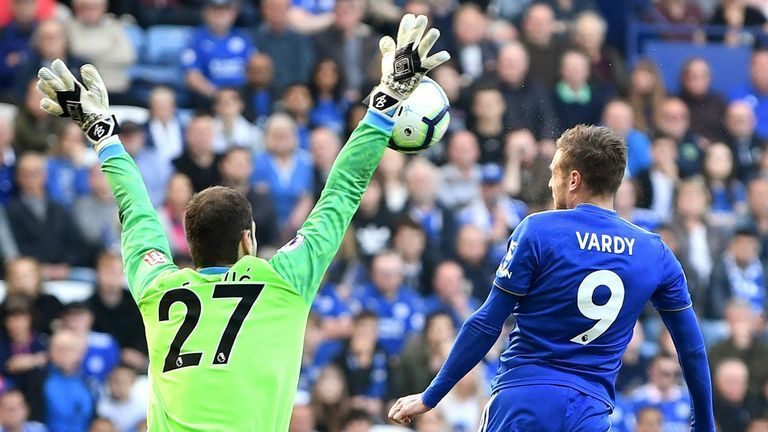 The Foxes had taken the lead in the 11th minute through Wes Morgan and Vardy's late intervention confirmed a third straight win under new boss Brendan Rodgers. Everton scored two first-half goals to cruise to a 2-0 victory at West Ham and climb into the top half of the Premier League table. 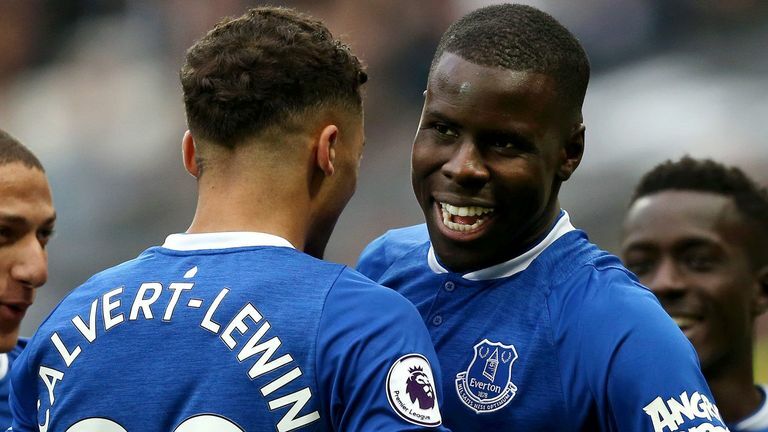 Everton, who came into the game without a league win in London in 10 visits, took the lead in the fifth minute when Kurt Zouma headed home from a corner. West Ham could not get a foothold in the match as Everton continued to dominate, doubling their advantage when Bernard finished off a fine move to score his first Premier League goal. Boos rang around the stadium at the half-time whistle, but there was little West Ham improvement after the break as the hosts finished the match with only one shot on target.